ENERGIA offer the most reliable and fuel efficient rental diesel power generation equipment on the market. 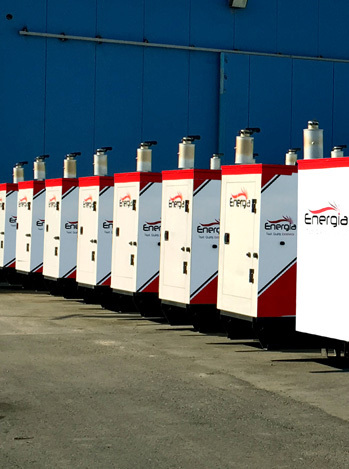 Whether it is a single site event project, military camp in remote location or a multi-megawatt temporary power solution for the whole city, ENERGIA offers a wide range of acoustically containerized diesel generators and power accessories anywhere in the world. All installations include a dedicated service team to plan, organize and manage the entire process of supplying temporary power generation. Diesel generators are available from 30kVA to 1250kVA with an option for eco-friendly battery, solar or wind power generation. This makes them ideal for telecommunications, military and remote site locations. ENERGIA also provide power distribution services, transformers, load banks and a range of environmentally safe fuel tanks each with a capacity of up to 26,000 litres, thereby offering the customer a complete power generation solution.